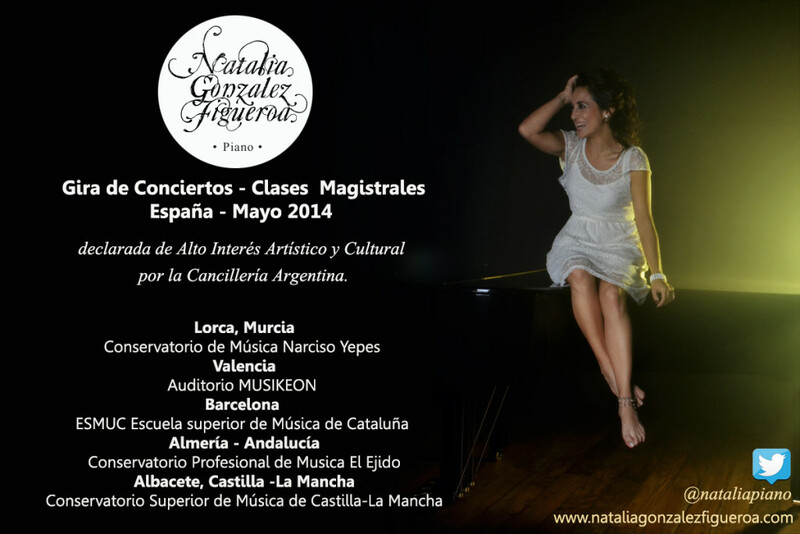 Natalia González Figueroa´s concert tour in Spain on May 2014 included masterclasses and concerts in several musical Institutions in the cities of Valencia, Lorca, Almería, Albacete y Barcelona. This concert tour was declared of high cultural interest by argentinean Ministry of Foreign Affairs and Worship. All the concerts were commented, and included premieres of music by living argentinean composers – one of them released on her CD “Buenos Aires Hechicera”, nominated to Gardel Awards for Classical Music 2013- as well as music by Alberto Ginastera, Carlos Guastavino and Alberto Williams. 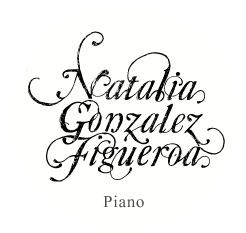 She gave a two-day piano masterclass at the Conservatorio Superior de Música de Castilla-La Mancha, and was invited to return in 2015.